OPTC Guideblog: Previous Fortnight Islands return again !! The Fortnight Bosses are Returning!! 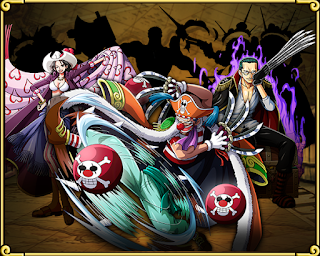 The official One Piece Treasure cruise twitter have just announced the return of the fortnight bosses. This means that global will be having dual fortnight islands from now on. This means that global players will have another chance to farm these characters and level up the specials of many characters, especially GP Ussop in the Kuro isle. Happy farming these characters and getting those skill ups! !